One of the odder moments in Coca Cola history. General Zhukhov, who had led the Red Army to victory in World War II, was apparently intrigued with the idea of getting his troops to drink Coke to reduce their consumption of vodka. He asked Mark Clark, in charge of the sector of Austria occupied by the Western Powers whether it would be possible to manufacture a clear version of Coke to resemble vodka. Clark sent the request on to President Truman who passed it on to Coca Cola. 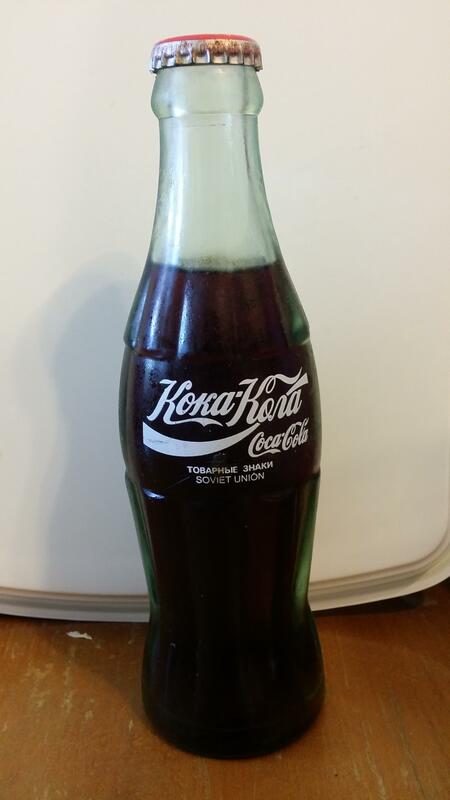 Coca Cola produced the colorless variant, and soon shipments were being sent through Austria on to the Soviets. This remained only a novelty item. American soft drinks did not go mass market in the Soviet Union until Pepsi worked out a deal with the Soviets in 1979. The Cold War comedy One,Two, Three (1961) centered on Coca Cola’s fictional, efforts to crack the Iron Curtain.